Grade 1 listed - open Dawn to Dusk everyday. There is a Group Service on the Second Sunday of every month. Check the calendar for details of time & Host Church. A Service is held at 10.30am. every Sunday other than the 2nd. Sunday,when the service may be hosted elsewhere in the benefice, and it alternates with Grimston Church on the third Sunday. There are occasional services at other times. Please check details on the Calendar. The Church is also used for Weddings, Baptisms & Funerals and at Christmas and all other Festival times. ​More photographs of the Church can be seen in "Our Beautiful Buildings" album. Click here. The name of Gayton is derived from the British word Guy, that has to do with water. Certainly the place is like a wet sponge for springs, side by side with light soil tracts of great aridity. Two principal streams issue, the one from the grounds of the present Hall, residence of the Earl of Romney, passing through the Fuel Allotments, still called Broadwater (a reminiscence perhaps of pre-drainage days), the other from the source which gave its name to Welle Hall, becoming the Gaywood River. From the Court Roll (Records of a Court of Justice) one of the entries states that in 1737 Sir RobertWalpole, Knight of the Garter, is admitted to a cottage in Gayton and 7 acres of land at a rent of 7/- per annum.And so is our parish brought into contact with the affairs of state in the person of one who piloted the nation for 20 years. Secretary of War to Queen Anne, he was Prime Minister under George I and George II. He sat at first for Castle Rising in the last two years of William III and later sat for King’s Lynn in 1714. At the Mill End of Gayton, at the cross-roads, is the three-sided village signpost. The two prominent landmarks, church and windmill, are featured as well as what was once a familiar sight, a full haycart. The Mill and Mill House were constructed in the mid-18th century and were an important feature of the village at that time, due to its economical and efficient grinding of cereals. Steam engines, and later the internal combustion engine, provided a more reliable source of power for mills and Gayton’s windmill, like so many others, lost its sails and eventually it became redundant and is now used as offices. 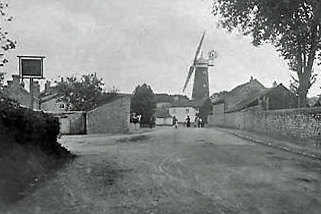 The Mill c 1912. The Church is just over the wall on the right. 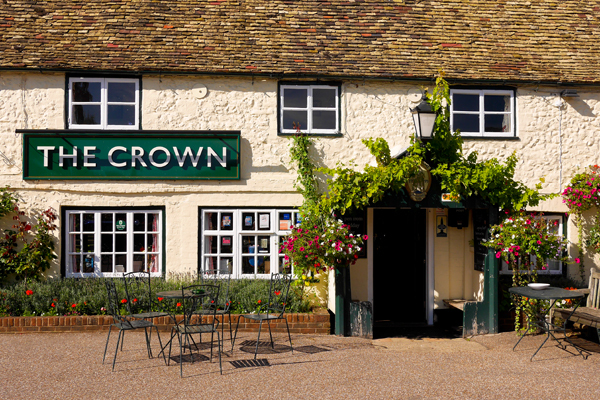 On the left is the inn sign for "The Crown" - another mainstay of village life. Photo. courtesy of Jonathan at www.norfolkmills.co.uk. 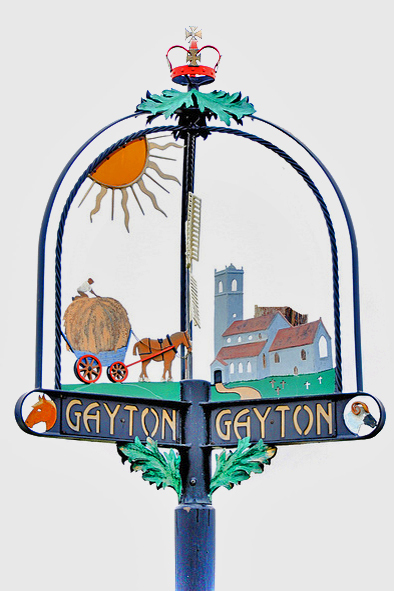 The village of Gayton has a growing population – currently around 1,800 people. Some families have been part of the village for generations, others have been pleased to come and make the village their home. 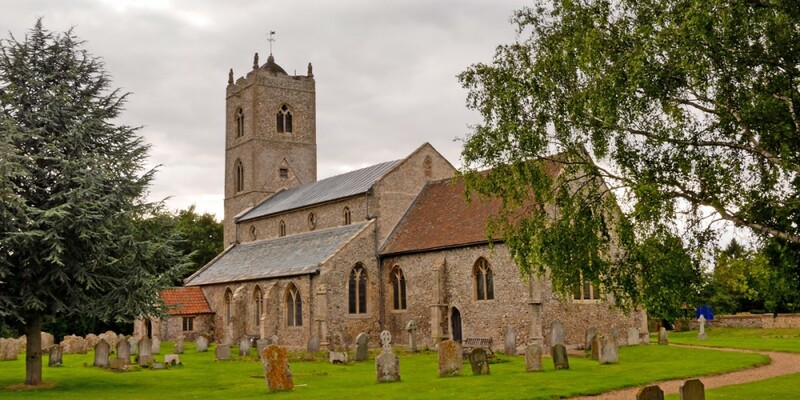 It’s a friendly village to live in; there is a Church of England primary school, a village hall, shop, post office and garage, two pubs and a social club, two butchers, a fish and chip shop, and a large recreation field with new play equipment for children of all ages. Gayton has a heart of its own and are many groups for activities, such as Rainbows, Brownies, Guides and Badgers, a football club, cricket club, allotments, WI, and Evergreens (for the over 50’s) – and much more! Strong rural traditions are still around in Gayton and the Gayton Estate farms over 3000 acres. Gayton Hall, a beautiful building and estate on the south of the village, is the home of Lord and Lady Romney and the 20 acre Woodland Water Garden is opened to the public on several occasions each year. The church, however, is open all day for folk to wander in and stop a while, it’s a place of calm, loved, cherished and cared for by many in our village. 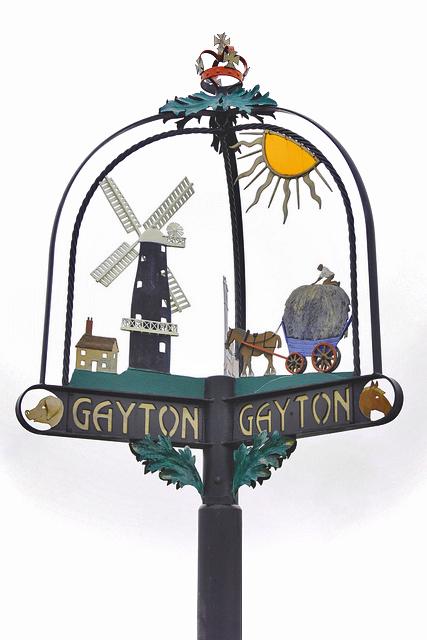 You can find more news of Gayton by looking at the village news web site here.